Are you looking for a language course in German, French or Russian? Would you like to reach an A2, B1 or C1 level or sit for a certificate? Then you are in the right place with us! 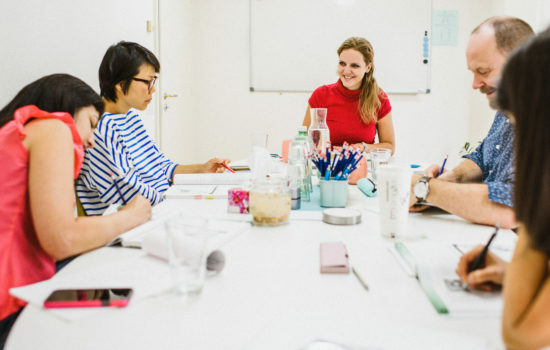 LanguageMasters offers a wide range of language courses at all levels (according to the Common European Framework of Reference for Languages – CEFR) as well as various course options. With us you are sure to find the right course! Can’t find what you are looking for? Contact us with your wish and we will help. Effective learning in very small groups with 3 to max. 6 participants. Fast learning progress is guaranteed. The ideal language solution with a focus on conversation for individual learning with time and location flexibility.